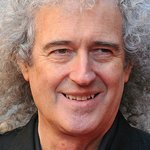 A number of music legends – including Brian May, Roger Daltrey, Noel Gallagher and Paul Weller – have shown they have more than just music in common with a new celebrity charity cookbook. In aid of Teenage Cancer Trust, over 60 musicians have come together for Love Music Love Food, a Rock Star Cook Book that merges iconic portraits with captivating recipes, accompanied by personalised interviews. Whether you share Ellie Goulding's love for sushi or Madness' soft spot for pie and mash, it’s a book that will open your eyes to food in a unique way. A concept created by Patrice De Villiers, with interviews by music journalist Andrew Harrison and recipes by rock ’n roll cook Sarah Muir, the result is an impressive testament to what can be achieved by goodwill and earnest desire. From rock legends to emerging artists, an incredible fusion of musicians reveal their passion for tucking into a favourite and often, unexpected culinary desire. Who would have predicted Coco Sumner’s obsession with Eggy soldiers? Or Paloma Faith's for Paella? Who would have thought Example has a passion for Jaffa Cakes? Or Johnny Borrell for Salmon? And who would have guessed VV Brown’s guilty pleasure for Marmite? Or Kasabian and Noel Fielding’s for a beggars banquet feast. Other contributors include Katie Melua, Gabriella Cilmi, Mick Hucknall, Sophie Ellis-Bextor, the Sugababes and many more. The result is a beautifully crafted book, with an appeal that it has been created for the good of others. Lovemusiclovefood: The rock star cook book is available in all major retailers now.